Backed and supported by years of experience of this domain, we manufacture and supply the best quality of Spectrometer Experiments Kit for BSC Labs. 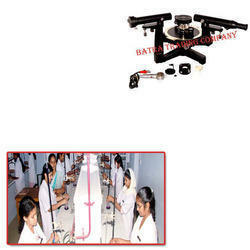 Designed as per the industry laid norms, the offered spectrometer experiments kit is known for its user-friendliness. The offered spectrometer experiments are highly demanded in colleges. Looking for Spectrometer Experiments for BSC Labs ?